Several months ago I was keynoting at the Arizona State Gifted Conference about parenting gifted kids for a successful life. 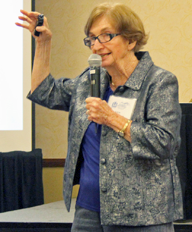 Also keynoting was Dr. Sylvia Rimm a pioneer in the field of gifted psychology and education. Rather than spending time fine-tuning my own talk I decided to listen to Dr. Rimm's speech. Speaking to parents, teachers, and administrators, she described the difference between supporting a child's "passions" versus a child's "interests." The former, she argued, sets children up for a life of dissatisfaction and underachievement. "Passion fashion" is what Dr. Rimm called it. "How many people get to work in their area of passion? ", Dr. Rimm asked. "Isn't working in an area of interest a reasonable goal?" Shouldn't we focus on helping our children find their passions? Shouldn't we nurture their strengths and support their growth? Isn't developing their talent essential for helping them bring their skills to bare and prepare them to be successful in their future? As a parent raising three children and a psychologist who counsels parents on how to raise "successful" and engaged children, Dr. Rimm's words have still stayed with me months after hearing them. I'm hopeful that the parenting pendulum from the self-esteem movement of the past seems to be swinging back in a much-needed way. The work of Carol Dweck's Mindset, the writings of Wendy Mogel which include The Blessing of Skinned Knee, Po Bronson's and Ashley Merryman's Nuture Shock and other writings teach us the importance of preparing our kids for the future. This is a future where they will need to solve problems, be judged by their actions and merit, where they may be treated unfairly, where their boss may change their job requirements without warning, and where life may throw unpredictable curve balls. How can our children learn to handle these challenges if we constantly protect them, solve their problems, and always focus on their happiness and finding their passion? It does seem our modern parenting culture has gone a bit to far. Does focusing on their passions then set them up for disappointment and failure? It may -- under certain conditions. If finding your passion is the ultimate message and not finding it means you will not be fulfilled, then this could lead to disappointment and lack of fulfillment. Maybe we need to focus on our child's interests with passion being the ultimate prize if ever achieved, but not the goal of our parenting, nor the goal we want our children to solely pursue. Focusing on helping your child find his or her passion then may be a set up, just as focusing primarily on our children's happiness. Yes, we need to focus on our children's strengths and interests, and yes, we want our children to live without excessive hardship and pain, but we also need to focus on developing resilience, persistence, perseverance, and what is being called "grit" by many experts. Grit means not giving up in the face of adversity -- an essential skill for being "successful" in life. So if there is a "passion fashion," and we are overly emphasizing helping kids find their passion and happiness, are we not spending enough time helping our children get ready for their future? Will they lack the skills they really need? All children need to problem-solve, deal with disappointment, pick themselves back up, and not give up when the going gets tough. I am all for helping my own children and my clients finding their passion, but I am thinking about it slightly differently. It should be part of the recipe, but not over-emphasized, not the ultimate goal. I am a firm believer in developing strengths and pursuing interests. Some have passions and others don't. People still have successful and fulfilling lives even if they haven't found their true "passion." How wonderful to find one's passion and make money doing it. I am still going to support my children's strengths and interests, and suggest others do the same, but no more than helping them develop their grit -- the stuff they need to get ready for their very real future. After all, won't they be more likely to find their place if they have the skills need to get there?